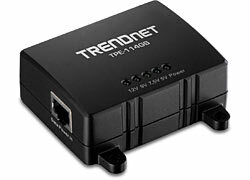 The Gigabit Power over Ethernet Splitter, model TPE-114GS, is used to install non-PoE devices in remote locations. 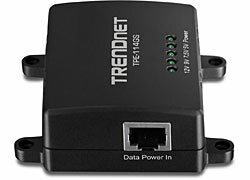 It splits a networked PoE signal into separate power and Gigabit data sources. 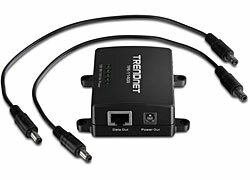 Run an Ethernet cable from a Gigabit PoE switch (or injector) for distances up to 100 meters and then split the PoE signal into separate Gigabit data and power sources in order to network a non-PoE device. No need to install non-PoE devices near a power outlet. Save installation and equipment cost when installing access points, IP cameras, and more in a remote location. A handy toggle switch adjusts output power to 5V, 7.5V, 9V, or 12V in order to match non-PoE device power requirements. 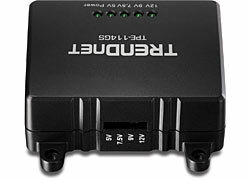 This compact splitter safeguards valuable network equipment with short circuit protection. 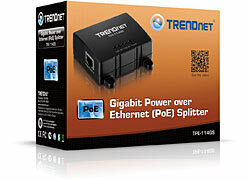 Quickly create an integrated PoE and non-PoE network at Gigabit speeds.